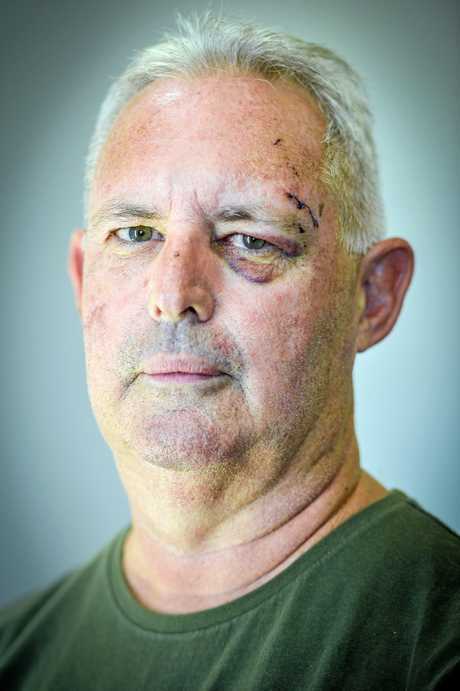 Gladstone man Peter Hening will think twice about pulling over to rest after he was brutally assaulted at a Bruce Highway service station on Wednesday. 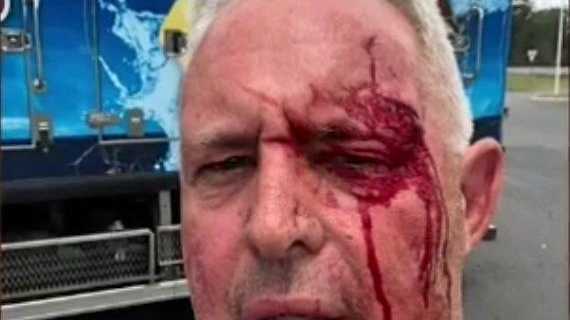 PETER Hening is still in shock after he was allegedly bashed in a brazen attack at a Bruce Highway service station on Wednesday. The Gladstone Ports Corporation worker was travelling from Gladstone to Brisbane when he decided to stop for a quick rest at the Caltex service station at Maryborough. About 11.20am the 55-year-old was standing by his car "daydreaming" when a man allegedly came up behind him and bashed him over the head. "He came from behind, shouting over and over again that he wanted my keys and my car," Mr Hening said. "I didn't fall to the ground but I probably screamed or shouted. "At the time I just had no idea what was happening. "I felt the pain and I could taste the blood in my mouth and then that was when it got real." Mr Hening said the alleged attack continued for about a minute before onlookers intervened and the attacker jumped in the driver's side of the car. He said the attacker was wearing a white shirt wrapped around his head, with only eyes visible. "I had actually picked up a hitchhiker, a young bloke needing a lift as I drove through Miriam Vale," Mr Hening said. "And he was sitting in the front seat on the passenger side. "He started pushing (the alleged attacker) out of the driver's seat as I was pulling him. "The hitchhiker, the poor bugger, got more than he bargained for on this trip." A Queensland Police Service spokeswoman said the man allegedly ran from Mr Hening's car and then entered a second vehicle. But the car owner used their keys to lock him inside until police arrived. 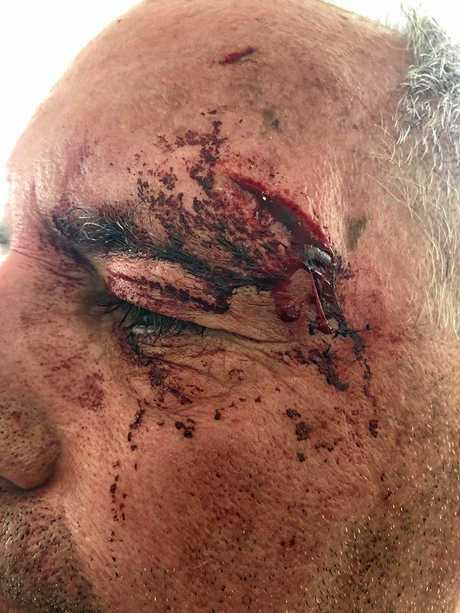 The man was arrested and Mr Hening was taken to hospital where he received three stitches above a black eye. While Mr Hening is the first to joke about the alleged attack he said he also wanted to warn motorists about the dangers of highway driving. "This was on a Wednesday, in the middle of the day, in broad daylight, where there were other people nearby," he said. "I still can't believe it even happened. I have never experienced anything like that before. "I decided to cancel my appointment in Brisbane and came home instead. "I'm alright, I have some time off work just to process what happened and calm down. "I think we just really want people to stay aware. "It can happen to anyone at any time and it appears it doesn't really matter who is around to see it." Mr Henning said his wife's car was wrecked. Queensland Police detective Wade Lee said officers were still investigating. Norman Clarke, 22, appeared in Hervey Bay Magistrates Court on Thursday facing several charges, including robbery with actual violence.